Well, almost. We leave on Thursday the 2nd, and will be returning on Sunday the 12th. Our spring vacay is always a blast and we are so grateful for our awesome friends who let us go with them and stay in the family vacation home. They are a homeschooling family as well, so you know we have fun AND squeeze in some learning, lol. One year we went to a nature center (I actually think we went to this on two separate occasions), one year we went to Kennedy Space Center and one year we went to a new zoo. 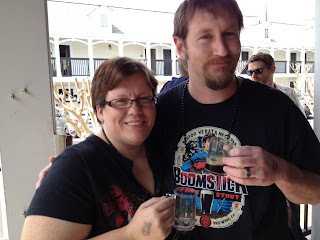 We have no idea what we will do this year, but we will decide that when we get down there, and we know we'll love it! The hubs will mostly have off for the week. He has a few things that he has to do as far as editing goes, but no writing work for the week. 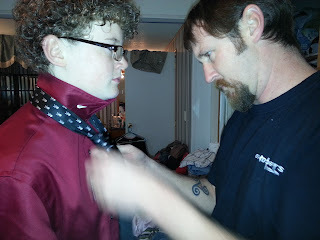 I will do a little work in the mornings or at night (just to have a little income come in when we get back...oh the joys of being self-employed and not having paid time off...) and the boys will mostly have off of school. They will take a break from their core program, and really only work on spelling and reading. They can do some spelling on their SpellingCity iPad apps (yay!) and I will print off worksheets from some of the activities so they can have some non-gadgety time. The worksheets also double as handwriting practice so woot for multi-tasking. Braeden is working on identifying contextual cues, and VSC has a WhichWord activity that can be played online or made into a printable. Bailey is working on sentence and paragraph writing practice. Again, that can be done online or in a worksheet. Isn't it nice when things are so easy? They will also have reading time. Bailey is currently working through a series by Raymond Feist. Braeden is working on his Beast Quest series, but has also asked to look for something to read on HomeschoolLiterature.com. 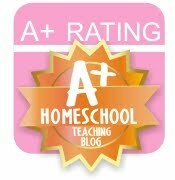 This is a site focusing on literature for homeschoolers...books about homeschoolers, books by homeschoolers, etc. We'll see what we come up with. See, that's not that evil after all, is it? Have a great week! Next time I shout at you all, it'll be with the sun on my face and the sand in my toes! 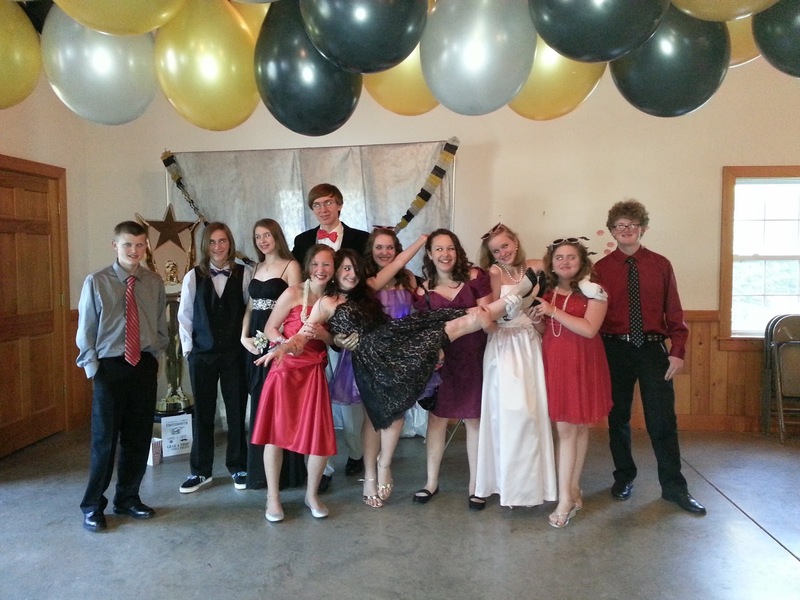 Saturday night was the formal for the 7th-12th grade students that attend Master's Academy. 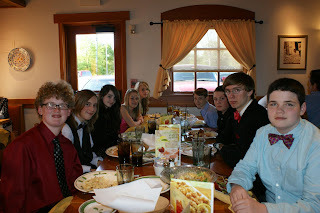 While the older kids met and did their thing prior to the dance, the 7th and 8th graders and their parents met at Olive Garden for dinner before heading to the dance. I enjoyed the gathering, and all of the kids seemed to as well! 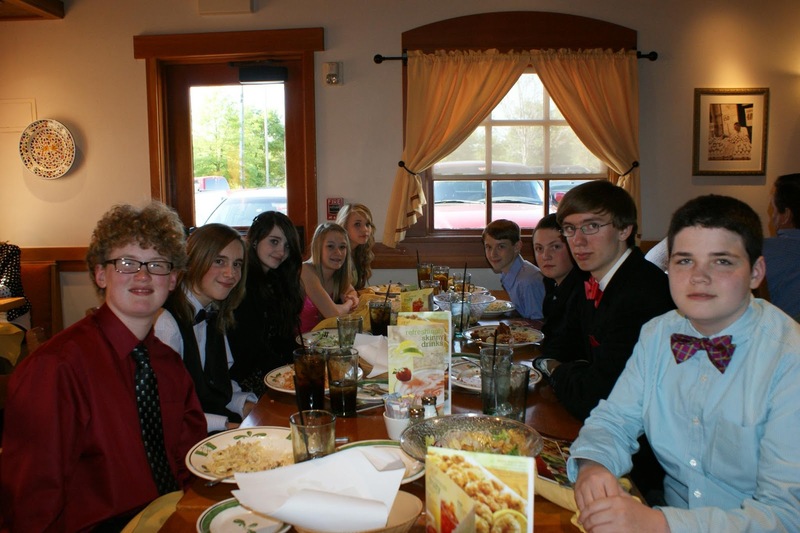 Saturday was a big deal for Bailey, and it ended up being a wonderful evening for him and all of the other kids. On top of all that, yesterday Bailey finally joined Facebook. He has already had a Twitter account (to follow artists and celebs that he enjoys) and a Pinterest account (because he can repin a bazillion troll face memes, lol) for a while, but those didn't make me as antsy as FB. Not sure why. Anyway, we stayed firm on the "when you're old enough that we don't have to lie about your birthday to create an account, we'll talk" thing. 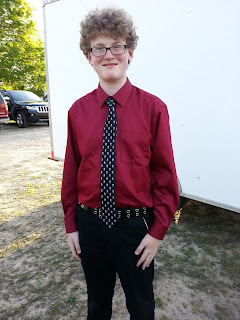 He turned 13 back in August, so it was time I guess. This past week was ridiculously busy, as I worked Monday through Saturday. Haven't done that since February. I'm not whining; I do realize that I am unbelievably blessed in that I only have to work outside of the home a short time during the year...but still...made for a long week, lol. Add to that, we had soccer on Monday, Tuesday and Thursday. It was good though...both boys' teams won their first games, so that was a very encouraging start to their season! This coming week will start to quiet back down. I work tomorrow, but then I am done! We again have soccer on Monday, Tuesday and Thursday. Bailey has Masters on Thursday, and since Braeden is done, he and I are going to have a special lunch and enjoy some quality time together. Nothing else really going on. For school, they will do their normal T4L thing. 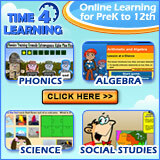 For spelling, I will have them work on some printable games and some worksheets. Maybe a crossword. I have to stay on them both about their handwriting...that will be focused on again now that I will be back home more. Have a great week everybody, and for those that wait until the last minute for your taxes, don't forget to have everything postmarked by tomorrow! I guess that sounds a little...errr...trashier than I meant it, lol. We had a busy week and great weekend! I feel like I've seen the inside of house no more than 5 minutes total over the last few days, but it's been good. Soccer kept us at the field most of the week, except for Thursday when Mother Nature was having another one of her manic spells. 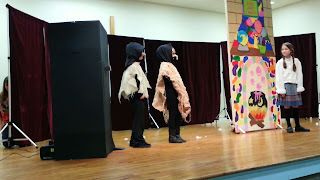 Braeden's last day at Master's was Thursday (he is in the lower school grade ranges and they were done on Thursday...Bailey is in the upper school grade ranges and they will continue to have classes until May 2), but he had dress rehearsal for his end of the year play on Friday. 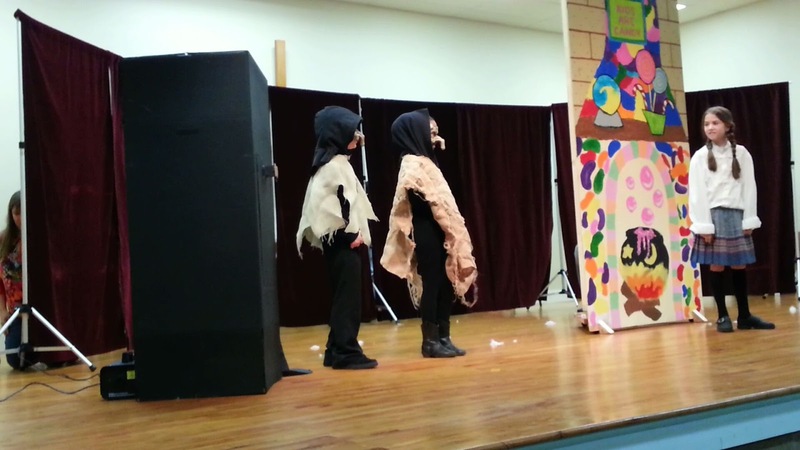 The play itself was Saturday. Every single performance was fantastic! We had a great time watching all of the kids perform. Braeden did very well and didn't seem at all nervous. Along with the play, they had an art show displaying all of the art projects that the kids worked on throughout the year. It was so neat to see everything, and all of his work will make great additions to his homeschool portfolio. I was shocked when Braeden could tell us about some of the things he worked on at the beginning of the year. He can't remember at lunch time what he had for breakfast, yet he remembers art techniques he practiced in September, lol. Ah well. That's an 8 year old for you. After the play, our family and the Bell family all went out for a yummy lunch at Steak N' Shake. Tracy's mom, who even we affectionately call Nana, generously treated us all and we had so much fun. I tried a new burger this weekend, which is not something I usually do. I'm very much a creature of habit. Anyway, I had the California burger, with bacon, swiss and avocado slices. It was soooooo good! This upcoming week is the last week of tax season, so I am working every day. Since I spent NO time at home this weekend, of course I have nothing planned. I know...so responsible. We are where we need to be for the year, technically, so I guess it's alright if they have a light week. They will do T4L and SpellingCity. Those are always a given. Bailey wants to build a terrarium, so I will let him have at that. Braeden doesn't want to build a terrarium as much as he wants to help catch what they are going to put it. I will probably also have them both play some animal games online, and I will try to find some little mini-unit study like activities for them to work on, revolving around the terrarium and it's inhabitants.